The atmosphere among participants at the Nigeria Leadership Forum held last weekend in Ibadan, Oyo State, was full of thought-provoking ideas that will usher a prosperous Nigeria. 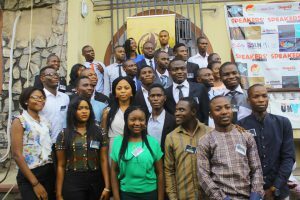 Over Seventy leaders and Local Coordinators of the Nigerian chapter of Students For Liberty (SFL)—the largest pro-liberty student organization in the world—participated in the forum where they discussed the organization’s approach to contemporary issues relating to human freedom in the country including hostilities against free speech and free market ideas, and big governments. National Coordinator of Nigeria SFL, Bayonle Fesobi, opened discussions with his speech, ‘The Nigerian Leadership Structure,’ which highlighted the need for his colleagues to increase efforts in holding governments at all levels responsible for better policies that will drive prosperity. Bayonle emphasized the need for a favorable business environment for Nigerians willing to invest in their country, especially the youth. He urged the removal of all stringent state regulations against the market. He followed this with an introduction to the organization’s goals and structure. African SFL’s Program Associate, Oluwafemi Ogunjobi, gave a robust insight into the essentials of communication, networking, and social media advocacy. Founder of African SFL and SFL’s Assistant Director of International Programs, Olumayowa Okediran, discussed ways through which participants can leverage on SFL’s writing opportunities to improve their public policy advocacy skills. 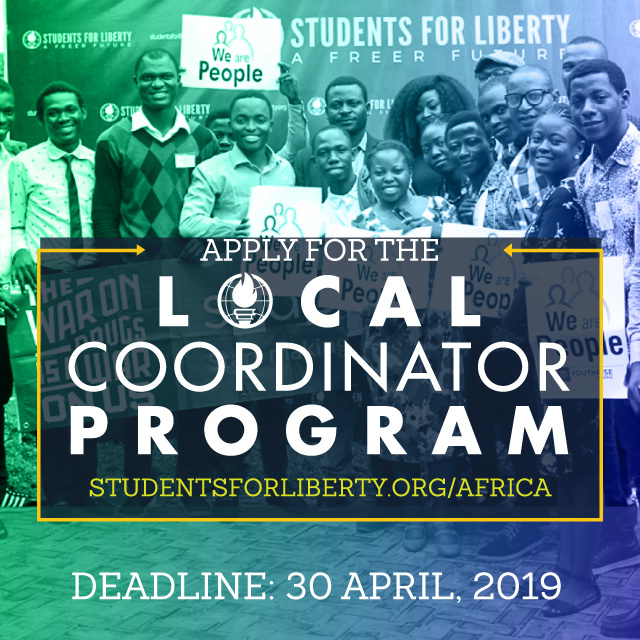 African SFL’s Director of Leadership and Recruitment, Adeniyi Moronfolu, discussed the rudiments of starting a campus chapter of SFL or a pro-liberty association geared towards promoting classical liberal ideas among college students.  African Students For Liberty is one of the continent’s largest student organizations with members in more than half of the 54 African countries. 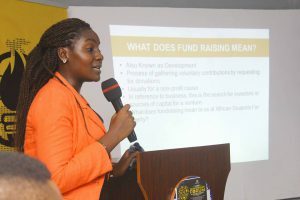 One of the most interesting points of the forum was the interactive session moderated by African SFL’s Program Manager, Linda Kavuka, on local means of fundraising. She immersed participants on how to run zero-budget events, the professional style of proposal writing, and how to brilliantly cultivate donors, especially at a time when African SFL needs to increase efforts to counter the growing repressions against human freedom on the continent. The forum was concluded with a series of testimonies from Lilian David (African Director of Alumni Programs and Relations), Don-Elvis Ibeh (West Africa Regional Director), and Adeyemi Charles Feyisade (African Director of Academics) on how participants can seize the numerous opportunities available within the network to kickstart their careers while remaining ardent advocates of liberty. 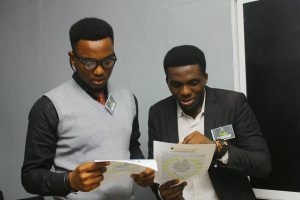 The forum was jointly moderated by Victor Benjamin and Donald Ibewuike—two of African SFL’s outstanding members making waves across the continent. Bayonle Fesobi is an advocate for inclusive societies and the SFL National Coordinator for Nigeria. He holds a degree in political science and public administration. He is passionate about civic leadership and informed youth participation in governance. He’s on Twitter: @fesobibayo. thank you for your activities, we are very proud of it!! I encourage you and I wish you success!